How to balance life and training? Be it the Ironman Triathlon or any other Training, the answer is really very simple says Dr. Kaustubh Radkar. Often times I am asked how is it possible to own a business and then find time to train for an Ironman? My answer is very simple: WITH DISCIPLINE! What does that mean, to be disciplined? It starts with the 5:20-5:30 am wake-up call every morning. When the alarm goes off, most people hit the snooze; then say, “Oh 10 more minutes.” 10 then become 20 that goes on to become 30 and all of a sudden your plans get postponed to evening or the next day. When my alarm goes off, I am up in a jiffy. First things first brush, have breakfast and off to workouts. But it starts the night before, for 10 odd minutes as I lay in bed I imagine and visualize what the next day workout is, how it’s going to feel. That sets the ball rolling for the next day. I anticipate a similar workout that I have in my mind. I am sore all the time, muscular fatigue is a yes when you train 12 - 16 hours a week, so I have to be disciplined in the both the food I eat and the amount of rest I get. That’s means, NO PARTYING POST 9:30 pm, yes 9:30! Most of us need 6 - 8 hours of sleep on a daily basis to get every day job done in a functional manner. If you stay up too late, then chances are you won’t get up in time to work out, or you will be too drowsy to be active at your work. Balancing Life and other Duties When I started my Ironman career in 2008, I was working full time for a hospital 40 - 50 hours per week, going to college part time for my MBA and then training 12 - 15 hours per week. I have a similar schedule now with owning my own business and being a consultant for two big hospitals in Pune. So being on top of my schedule for me. Similarly, eating right is of equal importance. I eat a very balanced meal of traditional Indian foods, I don’t follow a specific diet like low carb, or keto. These yo-yo diets are of no use, the moment you stop them the weight piles right back. With endurance events I have to manage my protein intake which I keep tabs of quite regularly. When it comes to exercise the key is to stick to the schedule as much as possible. 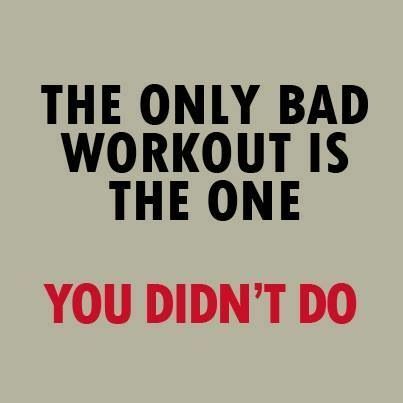 It’s ok to miss a workout or two but don’t make a habit of it. Try to sign for a race or event and then give yourself enough time to train for it. For an Ironman for optimum race performance I give myself 6 solid months of preparation. Without this it is not possible to achieve a good time, even if I have done it 13 times I have to respect the long race and the challenges that come with it.